Let the Games Begin! | Kid Reporters' Notebook | Scholastic Inc.
August 5 marked the start of the Summer Olympic Games in Rio de Janeiro, Brazil. The Opening Ceremony highlighted Brazil’s diverse culture, the importance of the Amazon rainforest, and the beauty of samba, a Brazilian dance that originated in Africa. 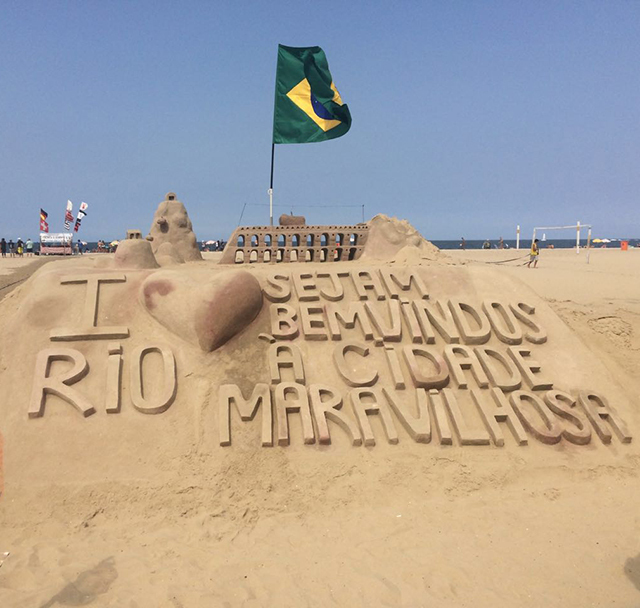 Many people have had concerns about the Games this year because of Zika, a virus that can affect pregnant women, the rise of street crime in Rio, and pollution in the waterways where the sailing events will be held. As a Kid Reporter who is half Brazilian (my dad), and half American (my mom), I was curious to see how Brazilians and Americans view Rio and the Olympics. I also spoke with Nicholas Martinez, 15, and his 13-year-old brother, Patrick, by phone. “We’re on break for the duration of the Olympics,” Patrick said excitedly. In the Southern Hemisphere, where Brazil is located, the seasons are reversed. Since it is winter in Rio, kids are typically in school at this time of year. However, for the duration of the Olympics, school has been canceled in Rio in order to reduce traffic and allow students to attend the Games. Thousands of Americans traveled to Brazil for the Games, including Helena Bialski, her husband, Roch, and their sons, Logan, 6, and Jude, 3. Helena and Roch are former professional basketball players. He will be an announcer for the Olympic basketball games in Rio. Logan and Jude Bialski play in fake snow with other kids outside the House of Switzerland. Helena added that she loved watching tennis, partly because “it’s much safer in the Olympic Tennis Centre [than it is outside].” She also enjoyed visiting the House of Switzerland, where Logan and Jude got to play in fake snow. Several countries have chosen to have a house that represents them where tourists can learn about their culture. Maureen Atkins, who lives in Arlington, Virginia, is Director of Development for the Mid-Atlantic for the United States Olympic Committee. She said that she is enjoying her time in Rio. “It’s incredible how Brazilians are looking out for visitors and reminding you not to talk on your phone on the street,” she said. That is because of the street crime in Rio. Having visited Rio in the past, I know how incredibly beautiful and energetic the city is. The amazing sandcastles are one of my favorite things to see. If you’re in Rio for the Games, check out some of the special ones that were created just for the Olympics! The 31st Olympic Games will continue until August 21. Good luck to all of the athletes!